Please double check your fees on recording documents to make sure you have the correct amount. Documents sent without exact fees will be returned for correct amount. We may not be able to call you about correcting a fee due to the number of documents received. Documents being hand delivered must be in the office by 5:30 p.m. Multiple documents or large packages must be in earlier to insure recording for that day. We accept checks (see Check Acceptance Policy), money orders or cash. Please note that no personal out of state checks are accepted. We ask that your office send a self addressed stamped envelope large enough to hold your documents with the correct postage on it for returning all mailed documents. 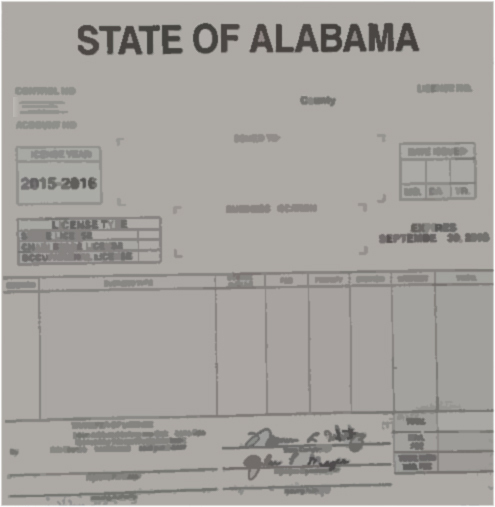 NOTE: Beginning August 1, 2012, any deed, bill of sale, or other instrument of like character which conveys any real or personal property within the state or which conveys any interest in any such property presented for record in the Probate Judge's office to be accompanied by proof of the actual purchase price paid or if not sold proof of the actual value of the property conveyed. THIS FORM MUST BE FILLED OUT COMPLETELY WHEN THE DEED IS PRESENTED FOR RECORDING. If there is not a sale price, you must put an approximate value for the property on the form. Contact the Houston County Tax Assessors office at (334)677-4755. We have received instructions from the State that even if this is a tax-exempt recording, the information and/or form will still be required for filing. This will be required of ALL deeds recorded with mortgages as well as deeds, etc. recording on their own. The form will be required to show that the mortgage covered the purchase price of the property and that no deed tax would be due on the filing of the deed. If the purchase price is over and above the mortgage amount, deed tax will be due on the difference between the purchase price and the amount financed through the mortgage. If you have any questions about this new procedure, please contact our office at (334)677-4723.